Whether you are into the extreme terror experience or looking for a safe place to entertain the kids during the Halloween season, there is something for everyone. Here are some ideas to get you started. And as always, feel free to share your own favorites. Looking to push the limits of your fears? Come to Utah's first and only full contact haunted house. 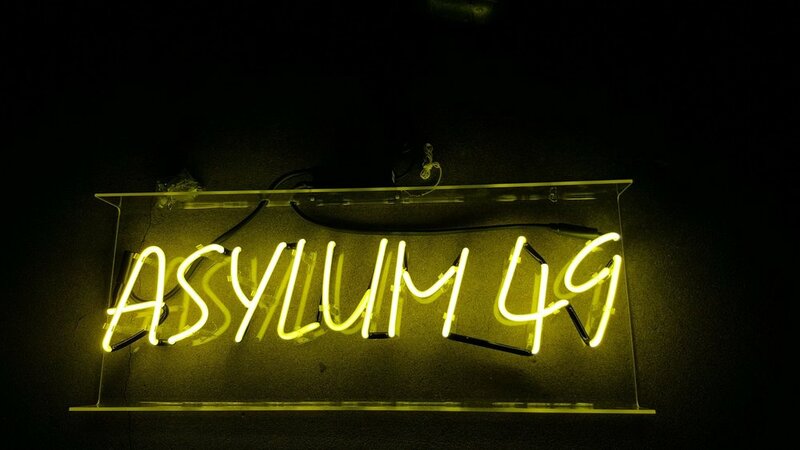 Asylum 49 is set in an old hospital located in my hometown where the doctors are waiting for your signed consent (yes, you have to sign a waiver) before giving you a truly unique and terrifying experience. This attraction has been called the most extreme and scariest haunted house in Utah. Decide for yourself. Is full contact too much for you? Come by on wimpy Wednesdays. Just imagining the number of people who died here, not to mention the cemetery next door, could be enough to send you home to sleep with the light on. If you aren't quite ready to enter the Asylum, spend some time outside in the cool fall air and enjoy a professional sound and light show. My brother travels from Southern California every year to the Asylum to set up and program this feature. Don't stand too close to the hospital, though. You might just find yourself inside. The Little Bear Bottoms corn maze opens in September every year with family-friendly entertainment. Find your way to the center of the maze where a steaming cup of hot chocolate awaits. Kick it up a notch with the Spooky Barn Ride or the Haunted River Trail, an outdoor spook alley guaranteed to raise the hairs on the back of your neck. The farmers at Little Bear Bottoms grow the best pumpkins that we use in our own pumpkin patch. Located on US89-91 in Cache Valley next to the Little Bear River. Admission fees are modest and used to purchase the corn for next year and distributed to local farmers to help make ends meet.